It’s a great pleasure in introducing our self ATS (Ascent Techno Soft) as a pioneer & forerunner in IT Industrial Training & IT placements with Industrial Internship. For the first time in Tamil Nadu we are introducing Real time Training with Real time projects & Excellent IT Placements. 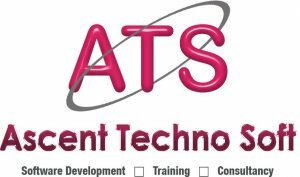 ATS is a training division of an US company Ascent Technology. The above technologies are trained by experienced professionals, once after the training each candidate would be provided with REAL TIME PROJECT to enhance an individual's skill. Each & every candidates are taken through an excellent placement track where they meet their CAREER GOAL with ATS.